1.Preheat oven to 350F. Spray Cookie sheet with non-stick cooking spray. 2.In a large bowl, mix together cake mix, cool whip and egg. The mix will be VERY fluffy. Just keep mixing until well combined. 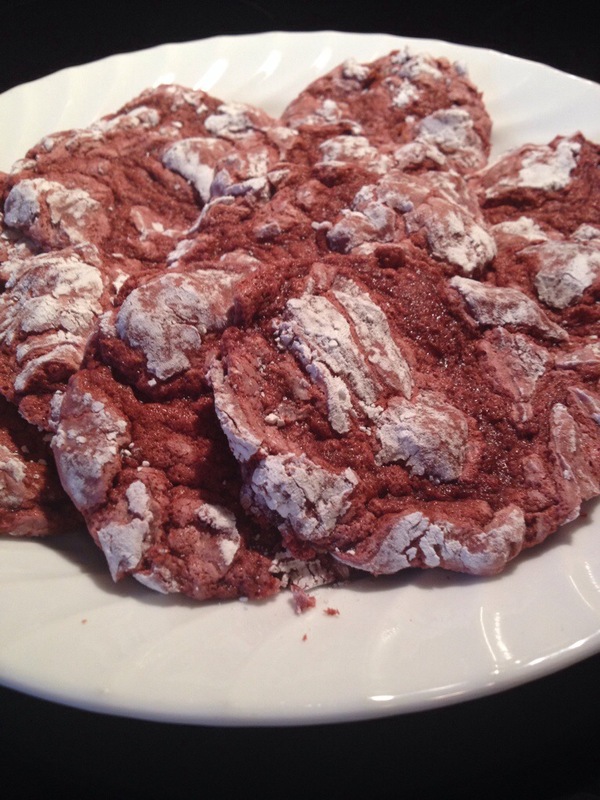 3.Use a small cookie scoop or two spoons to drop rounded cookie dough into powdered sugar. Roll dough ball until completely covered. Set cookies on cookie sheet, about 2 inches apart. 4.Bake at 350F for 8 minutes or until very lightly golden around the edges. Let cool on the cookie sheet for a couple of minutes before removing to wire racks to cool completely. 5.Store at room temperature in airtight container. These are best eaten within a day or two of baking. This was an experiment on the BBQ that was a hit! We created a make shift double boiler by using a 8×8 aluminum tin for the base and an aluminum pie tray to place on the top. Create a tray with your favourite dipping food. 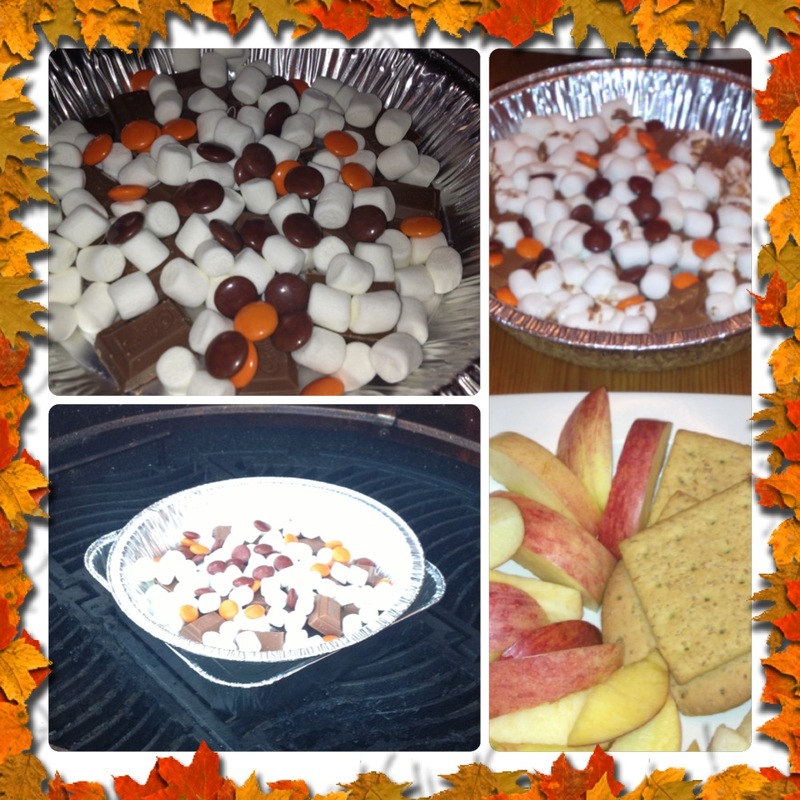 We used apples, graham wafers and bananas. Whisk together the pudding and the milk and mix in half of the Cool Whip . Scrape into the pie crust and then smooth evenly. Refrigerate for 20 minutes or until firm. 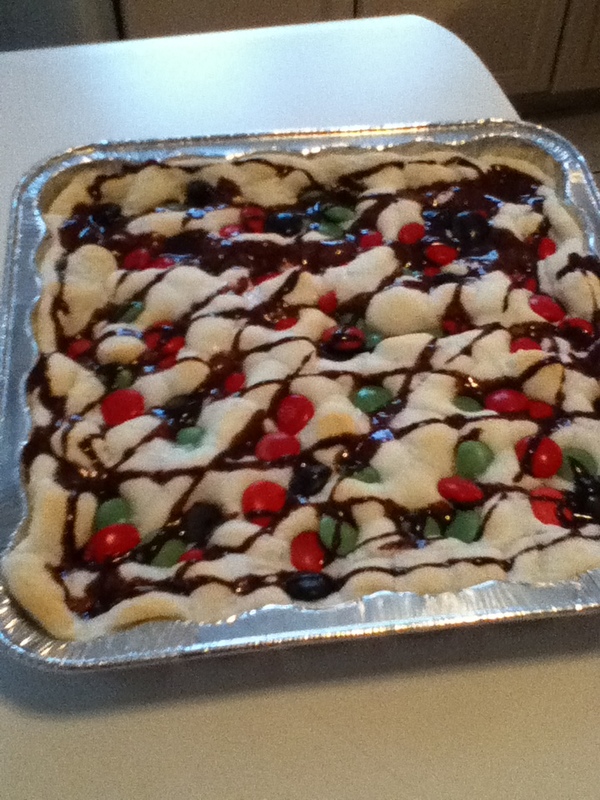 Top with mini marshmallows in a circular pattern, starting from the outer edge of the pie. 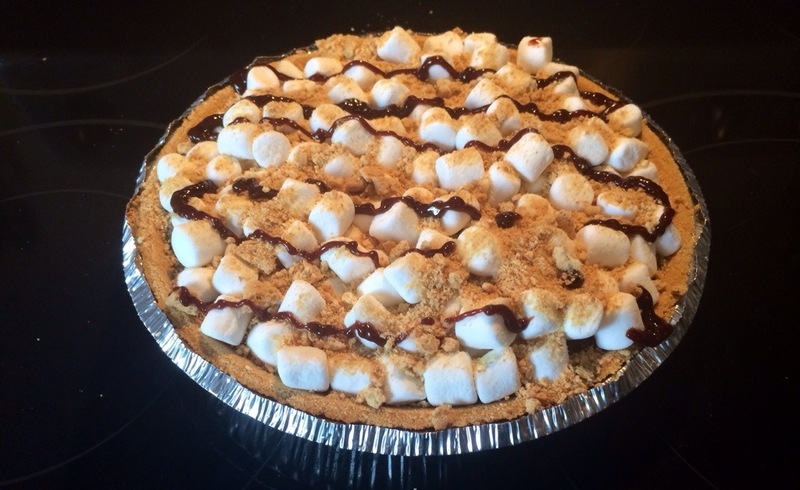 Repeat the process until the entire top of the pie is covered in marshmallows. If you like toast the marshmallows with a torch. A creme brûlée torch will work perfect. Drizzle the marshmallows with the hot fudge sauce and crushed graham crackers. PREPARE cake batter as directed on package; pour into 13×9-inch baking dish sprayed with cooking spray. Beat dry pudding mixes, milk and water with whisk 2 min. ; pour evenly over batter. Place dish on rimmed baking sheet. 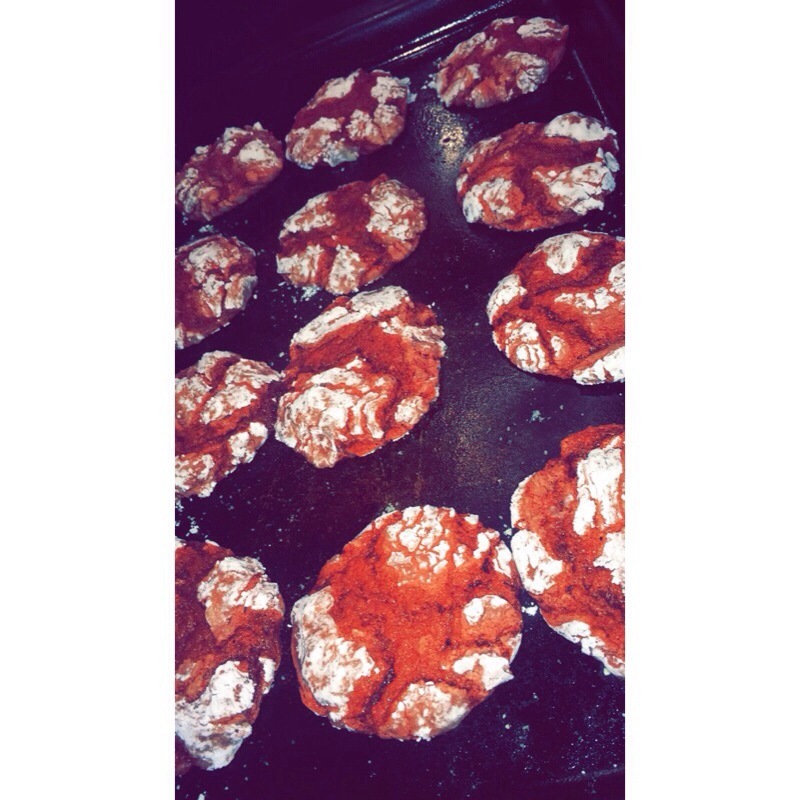 BAKE 55 min. to 1 hour or until toothpick inserted in centre comes out clean. Cool 10 min. Meanwhile, heat broiler. Cover a cookie sheet with waxed paper or foil. Spread the broken pretzels, broken cookies, peanuts,cranberries and about 3/4 of the candy corn on the prepared cookie sheet. Melt the white chocolate or candy coating until smooth, according to package directions. Drizzle the melted white chocolate over the pretzel mixture, spreading with a spatula if needed. 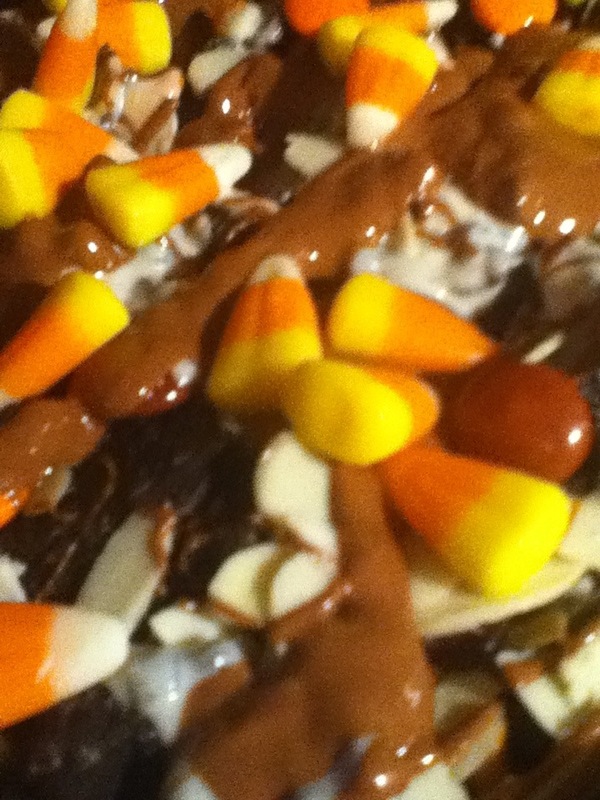 Before it sets, sprinkle on the remaining candy corn and Smarties. Place the tray into the refrigerator until set. Break into pieces and enjoy!